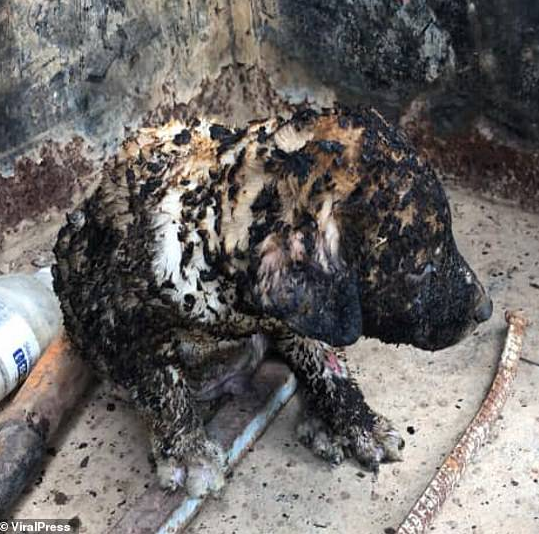 In a report by the Daily Mail, two puppies were nearly burnt to death after villagers set two dead trees on fire in Nakhon Ratchasima, Thailand on 22nd March (Friday). OMG! 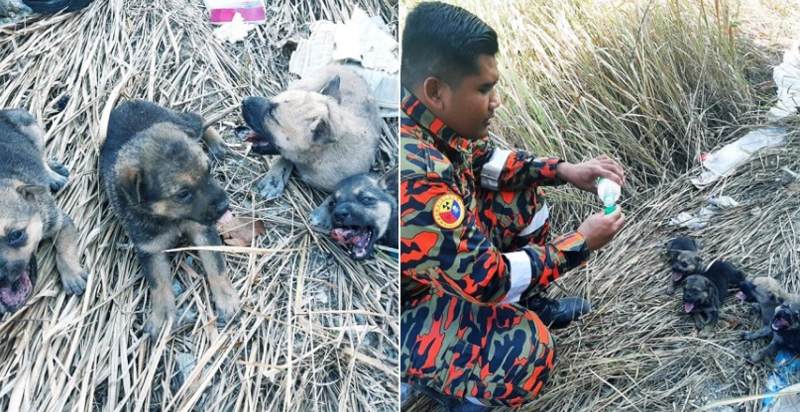 While firefighters were battling in extinguishing the flames, they had noticed two puppies were actually trying to escape from the forest. 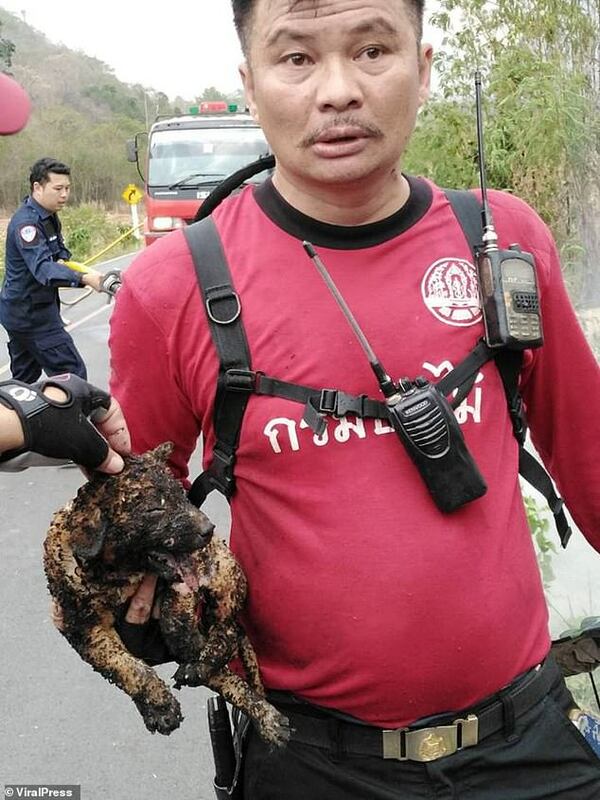 One of the firefighters immediately jumped across the fence to carry both the puppies and had successfully made his way out from the burning woods. You can watch the video here. 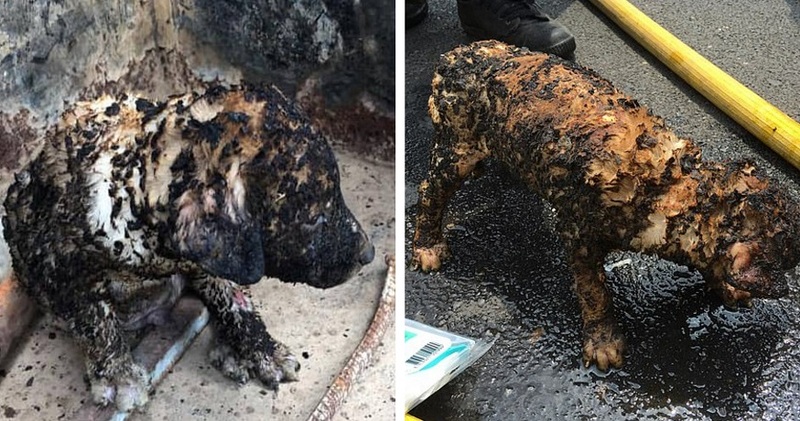 While both puppies have been rescued and subsequently treated, the white puppy is reportedly in stable condition while the brown puppy suffered burns on 20 per cent of its body. 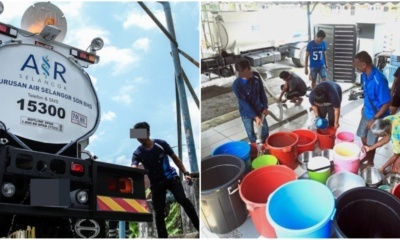 Our hearts are aching just looking at these pictures! Unfortunately, the puppies’ mother and siblings were not spotted in the forest area. It is believed that all of them might have perished in the fire. Fortunately, the white puppy has just been adopted. As for the brown puppy, it is still at the vet as it requires further treatment. Noppachai Klin-Sungnoen went on to say that the massive fire was caused by villagers who were attempting to clear dead trees from the patch of land. “I wish people would stop burning the forest as there are many innocent lives lost and affected by the fire,” he said. 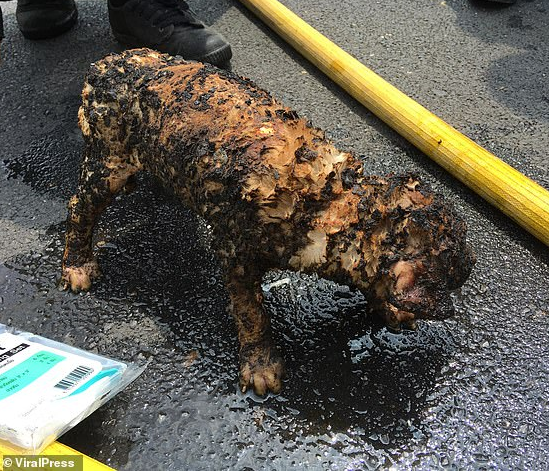 With all that said, we wish the brown puppy a speedy recovery and hope it finds a loving and safe forever home!